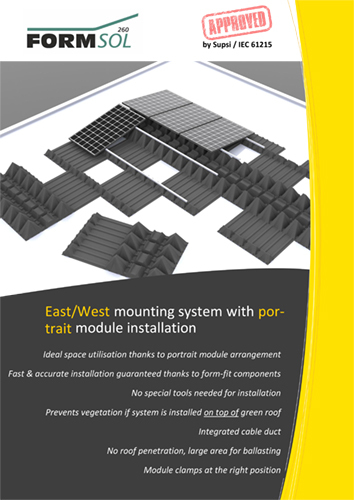 Thanks to the portrait arrangement of the modules, the available roof space can be optimally utilised with the FORMSOL260 PV mounting system. Despite this space-saving arrangement, a narrow service path provides easy access to the modules without having to walk over them. The panels are clamped to the lateral mounting points and fewer rails are required in comparison to a landscape module arrangement. 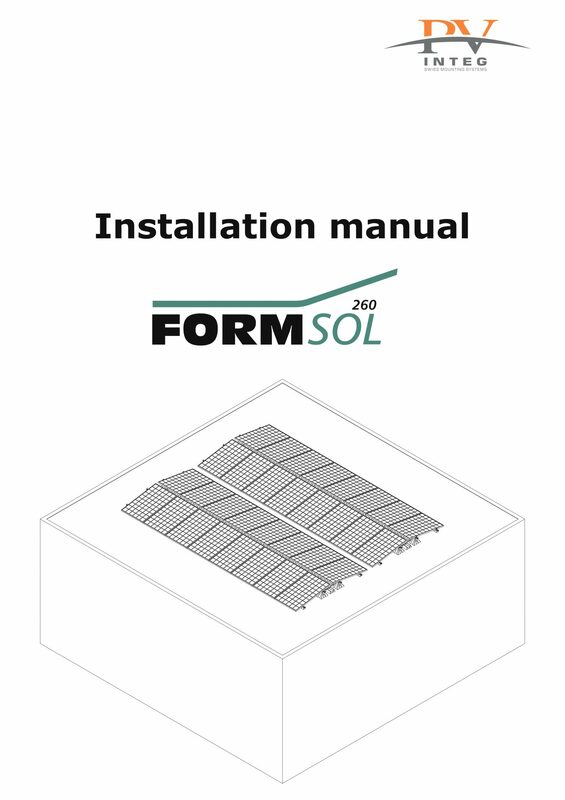 The FORMSOL260 elements made of recycled plastic are installed in such a way that they overlap each other. This installation method enables quick and easy installation of the supporting construction without the need for levelling, which guarantees accuracy. The cable duct is already integrated in the supporting element and does not need to be installed separately. Thanks to the small number of total parts, warehousing and logistics are kept simple. 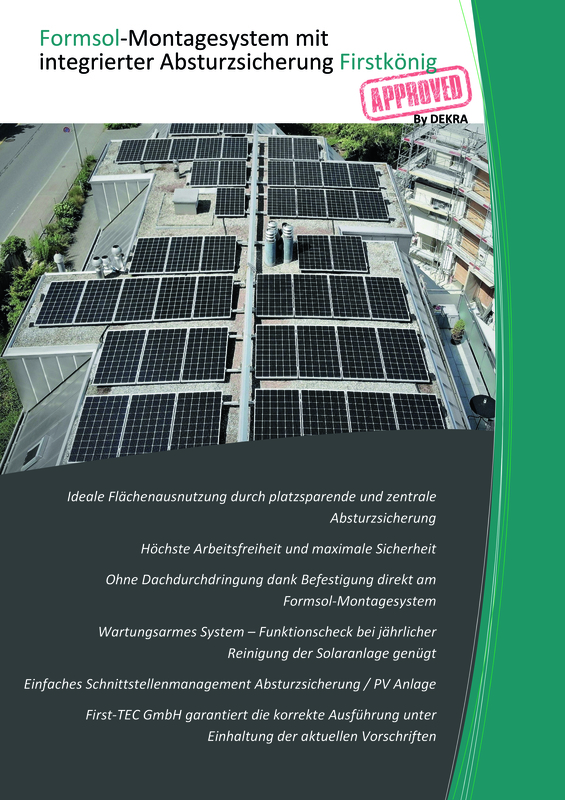 The system needs just a single screw and can be installed quickly with no special tools.